A global leader in cybersecurity solutions, released its 2018 Security Roundup Report, which depicts a threat landscape that has evolved heavily through both approach and tactics. One shift in attacks that businesses should be aware of is the rapid growth of cryptocurrency mining, which increased 237 percent in the same time. Overall, attacks that capitalize on the human desire to respond to urgent requests from authority are on the rise, such as Business Email Compromise (BEC) and phishing, with phishing URL detections having increased an incredible 269 percent compared to 2017. In 2018, Asia (42.9%) and the Americas (33%) saw the highest number of ransomware threats. Out of the 1.8 billion ransomware threats reported globally from January 2016 to December 2018, India accounted for 10% of all ransomware threats blocked by Trend Micro. And within Asia Pacific, Middle East, and Africa (AMEA), India accounted for an astounding 30% of all ransomware threats blocked. Also, India was placed in the fourth position in the number of email threats blocked by Trend Micro, which stood at 1.5 billion email threats. Over 30 million malware were detected by Trend Micro in India in 2018. The number of BEC attacks in 2018 increased by 28 percent. While these attacks are less frequent than phishing attacks, they are more sophisticated and take more careful planning for cybercriminals and they yield an average of $132,000 per attack. As these attacks contain no malware and go undetected by traditional security measures, companies need to increase their protection against these attacks with smart solutions that analyze the email writing style of key executives in order to identify whether the email may be fraudulent. Trend Micro’s Writing Style DNA does exactly that and effectively helps detect Business Email Compromise (BEC) attacks. Another area of change across the threat landscape in 2018 was seen in zero-day vulnerabilities. 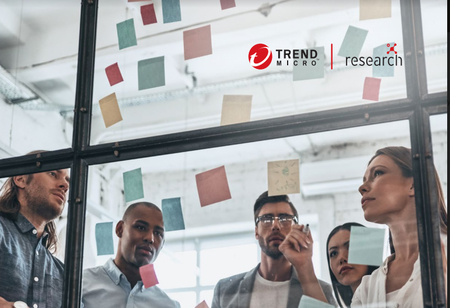 Trend Micro’s Zero Day Initiative (ZDI) bought and disclosed more vulnerabilities in 2018 than ever before, including 224 percent more Industrial Control System bugs. This is particularly significant for organizations that struggle to implement patches across their systems. While zero-day exploits are less and less common, known vulnerabilities were used to execute the largest attacks in 2018. These tactics rely on vulnerabilities that have had patches available for months, even years, yet remain exposed in corporate networks. Another strong indicator of how the threat landscape is shifting can be seen in the types of threats that decline. Ransomware detections decreased by 91 percent compared to 2017, along with a 45 percent decrease in new ransomware families. This reinforces the shift in attack tactics, as ransomware does not require extensive planning, technical skills or ingenuity due to the large number of resources available for malicious hackers in the cybercriminal underground.